NOTE: The TM-1 Tension Meter includes a printed table to convert tension reading to kilograms force. Because of new and varied steel bladed aerodynamic spokes, there is a webpage that acts as a chart calculator for steel bladed spokes not on the table, for this please go to http://www.parktool.com/tm-1-tension-calculator. On the expensive side, thought long and hard before buying but glad I did as I cannot judge spoke tension to save my life. 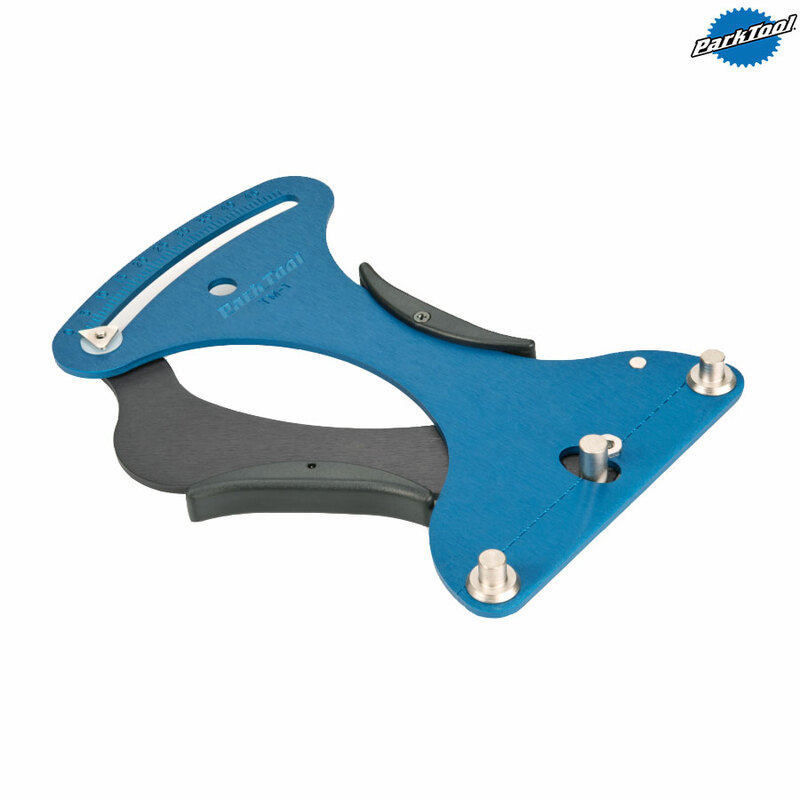 As with most park tool very good quality well made and after studying the info easy to use. I had to take some time reading the how to sheets and read off chart and worked with a old wheel before moving on to my best wheels. Studying the chart of different spoke thickness, materials and types is a good thing before starting on your best wheels. Is it worth the price, yes told me straight away one drive side spoke 2 times the tension of the rest after spoke snapped on my best wheels couldn't tell by feel or sound, previously destroyed a mavic rim by over tightening, found on one mavic front wheel all spokes were twice the recommend mavic tension but on the good side they were all the same tension. This an excellent professional quality tool. Quick and easy use . scale is easy to read. Robust construction. Essential in my opinion for high quality wheel building. Quite expensive, but unreasonable for such a specialist tool.